Minister for Culture and Heritage Josepha Madigan has said her department has been told of new allegations of bullying and harassment in the National Museum. Responding to questions from Sinn Fein spokesman on Arts, Heritage and Culture Peader Toibin, the Minister said she could not discuss individual cases. Toibin said that over the past number of years “the National Museum of Ireland has been racked with allegations of bullying and sexual harassment. “Millions of euro have been spent so far on consultants, reports, sexual abuse experts and High Court payoffs, he said. She said, “While I cannot get involved in HR matters, which are a matter for the executive and the board of the museum, my Department has provided additional support, including sanction for three specific HR positions and two temporary positions for the corporate services area of the museum. 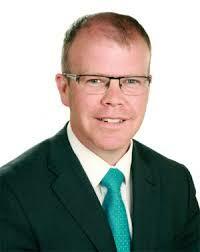 Toibin said the Minister’s response as “very unsatisfactory in a number of ways. Obviously, she is new to the Department, and she may not be aware of the deep and ongoing crisis that has engulfed the National Museum. “Significant damage has been done to a large number of women who have worked in a building 100 yards from where we sit. These women were in the care of the State because the State had a role during that time as the Department was involved in those particular HR issues. These women could not receive justice. The only way they could do so was to go to the front pages of the national newspapers and tell their stories. “The most frustrating thing about this is that I have been told that at the start of these allegations a senior person in the National Museum of Ireland gave a report of what happened to the Department, and the Department did not carry out anything. The report does not exist at present. If that initial report had been acted upon none of the Subsequent allegations made by those women would have happened. He said, “Adrienne Corless, a former staff member of the National Museum of Ireland, stated about her experience that she would rather vomit slugs than name the truths of her experience in working at the National Museum of Ireland but that if she did not do so, she would spend the rest of her life living with slug-like lodgers from her past working life eating her up from inside. “The deep ramifications of what happened in the National Museum of Ireland are still surfacing. 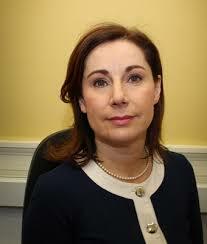 The Minister will be aware of the recently listed third High Court case of bullying at the National Museum of Ireland. There are still questions about a large number of secondments, one of which has been ongoing for the past four years at a cost of €100,000 per annum. I believe that what happened was, in part, the result of a laissez-faire attitude on the part of the Department and previous Ministers. Minister: “In 2017 a staff forum, consisting of representatives of management and the staff, was set up to promote and foster good relations within the National Museum of Ireland. There was also a review of departmental documentation in 2017 which set out a number of recommendations, one of which was that we continue to support the chairperson and the board of the National Museum of Ireland in the introduction and implementation of measures to achieve enhanced HR capacity in the museum, which we have done. “The National Museum of Ireland is also adhering to the code of practice, which is important. Also, an internal audit conducted in 2017 recommended the establishment of a dedicated HR unit at the museum. The HR policy was reviewed and updated, and there is continual HR training for line managers across all areas of the museum. It is also proposed to develop a museum development plan setting out a long-term direction of travel for the museum.